“Old World” has become a term that is often used loosely (too loosely in my opinion) to characterize something that’s old or classic instead of depicting the specific era it’s from. But period details shouldn’t be vague or misleading when given in reference to a world globe – either it’s Old World or it isn’t. 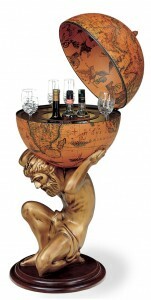 The number of stores and websites that use this term incorrectly in product descriptions of globes, especially for antique-style reproductions and bar globe replicas, amazes me. I sometimes wonder if the retailers don’t actually know what Old World really means, don’t bother to learn about the products they sell, or are just using the phrase for added appeal and counting on you to not know the difference. Using the word “old” to depict the world during a particular period of time only came into practice after the term “New World” was coined by Pedro Mártir De Anghiera, an Italian-born historian of Spain. In 1493, Mártir sent a letter to Cardinal Ascanius Sforza in Italy to report on the voyages of Christopher Columbus. The letter, dated November 1, 1492, contained reference to the “New World.” Mártir mentioned the New World again in his second letter to the Cardinal the following year. Giovanni da Verrazano also used the term in “The Written Record of the Voyage of 1524 of Giovanni da Verrazano as recorded in a letter to Francis I, King of France, July 8th, 1524,” and Mártir’s accounts on first contacts between Native Americans and Europeans were later published in 1530 in a collection called “On the New World” (De Orbe Novo). Before Christopher Columbus made his first voyages in the late 15th century, people thought the earth consisted only of Africa, Europe, Asia and the surrounding islands known to medieval geography. This supercontinent, collectively known as Afro-Eurasia, is the Old World. As far as the New World goes, you might think it includes everything discovered during and after the Age of Exploration that followed the Columbus voyages, but it’s a bit more complicated than that. 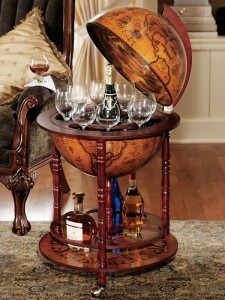 The New World refers only to the Western Hemisphere, or rather the Americas. Technically, Oceania (including Australia) and Antarctica are neither New World nor Old World because both terms were already in use by the time the lands were discovered by Europeans in the 17th and 18th centuries. It would be my guess that the majority of original Old World globes which survived to this day are in museums or historical societies. 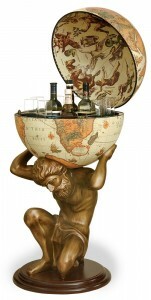 And from what I’ve seen on the market, most globes and bar globes that are accurate replicas have map reproductions from the 16th, 17th and later centuries, especially the nautical models. 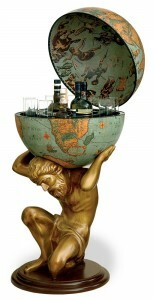 In essence, an Old World globe or replica portrays a map of the earth as it was known during the 15th century or prior. So if you happen to see someone selling one with America or Australia on it, don’t hesitate to give them a little lesson on world history.